No matter where you find yourself in the world we have the voice, text, and data solutions you need. We have sat phones and satellite internet devices to keep you connected and safe, starting as low as $24.99/wk. 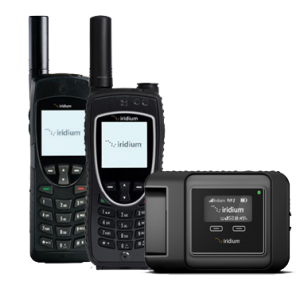 Iridium Communications is the only satellite phone provider to offer truly global coverage from pole-to-pole. The new Iridium NEXT constellation is made up of 66 satellites in active service with perfect coverage of the entire planet. Inmarsat is the world leader in satellite broadband data communications. It provides high speed data connections for government, commercial & humanitarian organizations with mission critical data transmission requirements on land, at sea & in the air. Globalstar is the cost friendly satellite phone provider with coverage throughout the United States. This is a great option if you need an affordable solution for your remote communications requirements, and you are traveling within the USA.